35-41 Queen Street, Glasgow. G1 3EF. Once owned by Celtic Football Club manager Willie Maley. Also see other Celtic managers and players that owned pubs. Click here. 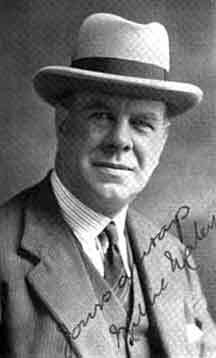 Me Willie Maley manager of Celtic Football Club. It’s sad to see this very old establishment has now got a different name BLACK’S, I don’t think anyone will take much notice of this as everyone will still call it The Bank regardless. To read more on the Bank click here. Black's. Tel: 0141 221 1779. Peter Hamilton was proprietor of the Bank in 1893, he also owned premises at 276 Argyle Street. The Bank is gone forever and was refurbished around 2003. However the older generation will still call it THE BANK. 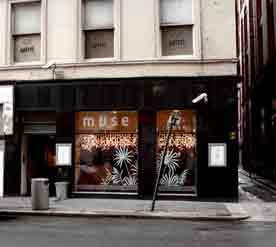 The pub now is called Muse it still has the black paint-work outside and the layout is very similar to the old Bank. Telephone 0141 221 1779. The New Bank can cash in.. Regular customers of the Bank Restaurant in Queen Street will have been aware that their favourite howff has been receiving a bit of a face-lift recently. But now the good news is that work has been completed and the premises, re-named the New Bank Restaurant, will be operating to full capacity from tomorrow evening. The pub and restaurant now features a newly decorated upstairs bar with booth tables and seats in subdued lighting around the central bar. Hot meals and snacks will be provided here, but the main dining area is downstairs in the light pine panelled restaurant. "We are very proud of the new place" says manager Mr Joe Hayes. "We reckon we offer a good meal for a very fair price at lunchtime, and in the evening this is an ideal place for an intimate meal. "At weekends we will be running dances." The fine touch of style at the restaurant is the fresh uniforms for the team of girls serving there. Visitors to the bar will have a chance to sample Joe's own private cocktail, the contents of which he is determined to keep secret. And for connoisseurs of the "cratur" there is a wide range of malt whiskies. No one is quite sure how long a public house has been operating on the Queen Street site, but it is thought to be one of the oldest in the city. 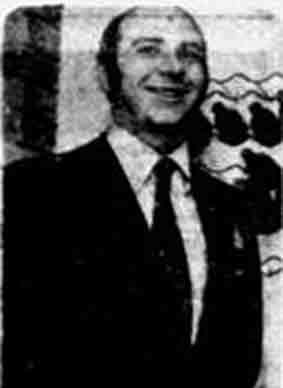 It was owned by Mr. W. Myron, a well-known figure in the West of Scotland licensed trade then bought by Ind Coope (Scotland) Ltd. in 1964. 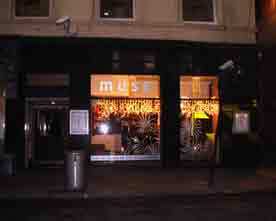 One of Glasgow's favourite bars and restaurants seems well prepared to open its doors on 1978 with a bright new face. With good food, good wines, Skol lager, "Diamond" beers and attractive surroundings it should prove to be even more popular. Win a dinner for two at the New Bank Restaurant in Queen Street by giving the nearest estimate of the weight and height of Joe Hayes (above), the manager of Glasgow's new eating house. The closest answer received by January 1st will enjoy an evening as Joe's guest at the New Bank Restaurant. You quality for entry if you're not an employee of Ind Coope (Scotland) and if you've not a friend of Joe Hayes! Send your answers to Peter Clarke, Ind Coope, (Scotland) Ltd, Anderston House, 389 Argyle Street, Glasgow. Now remember folks this competition is now closed. Read More On Glasgow's Old Restaurant's. 1991 David McKay for Allied Breweries.